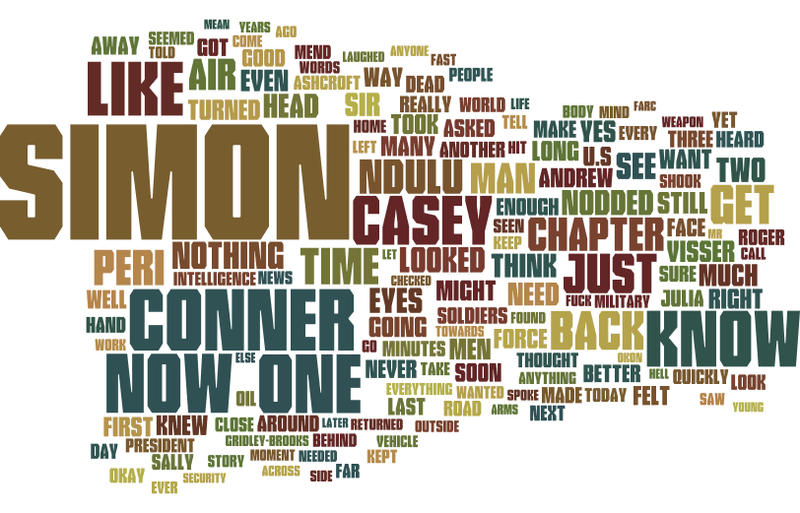 Here is a word cloud for my novel which I’m very close to announcing. It is a spy thriller that commences in Afghanistan, Colombia and Nigeria, then takes off across the globe. It’s about mass surveillance and enemies operating in the shadows.